From October 13 to October 20. 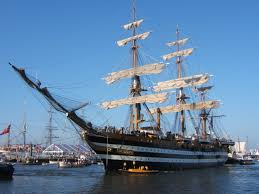 From the 13th to the 20th of October, the school ship Amerigo Vespucci, of Italian Navy, will stop at the Venice port. The stop will be also the occasion for the vessel to host some of the events of the “XI Regional Seapower Symposium”, the Biennal International Maritime Forum of the Mediterranean Navy and the Navy of other areas in the world. The Amerigo Vespucci is the oldest ship in commission in the Italian Navy and her Leonardesque motto is “Non chi comincia ma quel che persevera”. 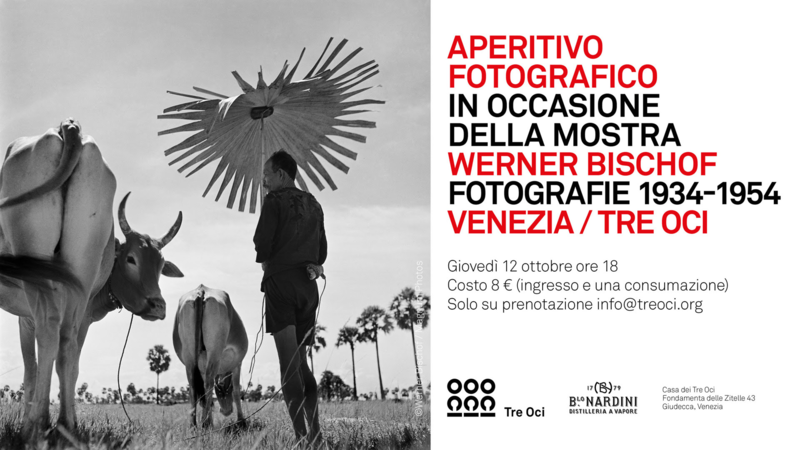 There will be a photographic aperitif on Thursday, October 26 for the Venice Fashion night, Thursday, November 16 and Thursday, December 21, always at 6 pm , with the collaboration of Distilleria Nardini 1779, at the reduced price of 8 € (instead 12), including the aperitif and the visit to the exhibition WERNER BISCHOF. FOTOGRAFIE 1934-1954, dedicated to one of the most important photographer of nineteen century, Werner Bischof (1916-1954). Reservation is necessary at info@treoci.org (while seats last). In addition to drink delicious Nardini’s Cocktails, it will be possible to spend a special night in the beautiful Tre Oci’s Palace, open exceptionally until 8 pm, in front of San Marco’s square, and admire 250 photographies which came from the most important reportage of Bischof, from India to Japan, from Korea to Indochina until arriving to Panama, Chile and Peru. 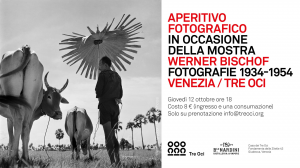 For the first time a selection of 20 unpublished black and white photographies about Italy will be presented.